Pitches in good part shaded with electric connection (6 amps) and parking. 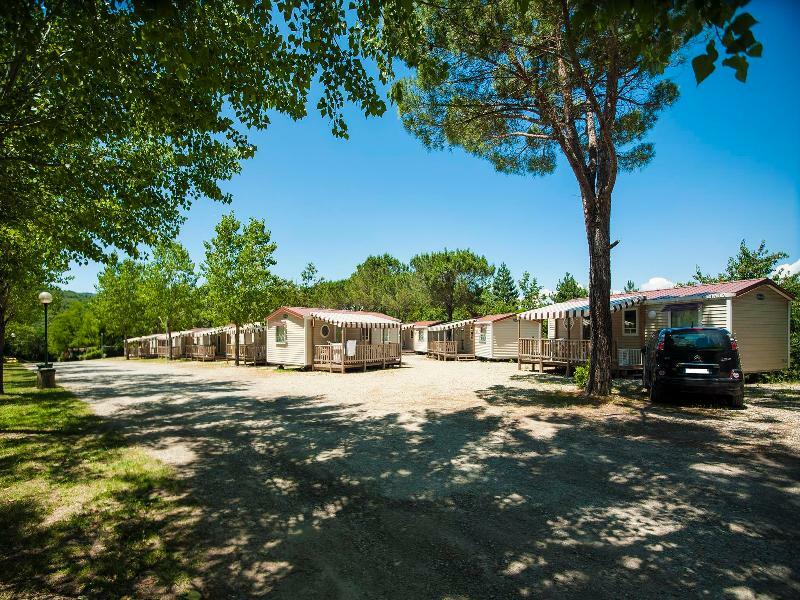 Two groups of sanitary blocks with free hot water, toilets for disabled, camper service, chemical toilet, freezer, fridge, washing machines and dryers (for a fee). Hair dryer and iron available at reception. Pitches in good part shaded with electric connection (6 amps) and parking. Two groups of sanitary blocks with free hot water, toilets for disabled, camper service, chemical toilet, freezer, fridge, washing machines and dryers (for a fee). Hair dryer and iron available at reception. Pets are welcome. Pitches in good part shaded with electric connection (6 amps). 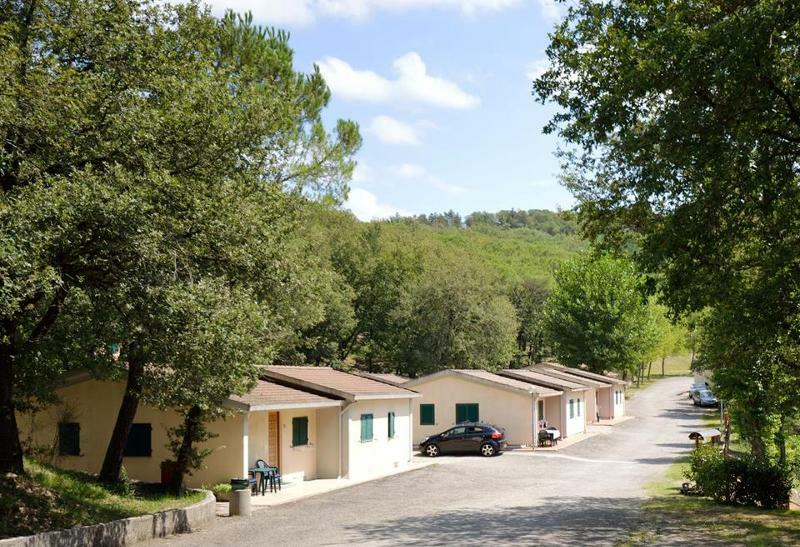 Two groups of sanitary blocks with free hot water, toilets for disabled, camper service, chemical toilet, freezer, fridge, washing machines and dryers (for a fee). Hair dryer and iron available at reception. Pets are welcome. Apartments (21 mq) » 2 pers. 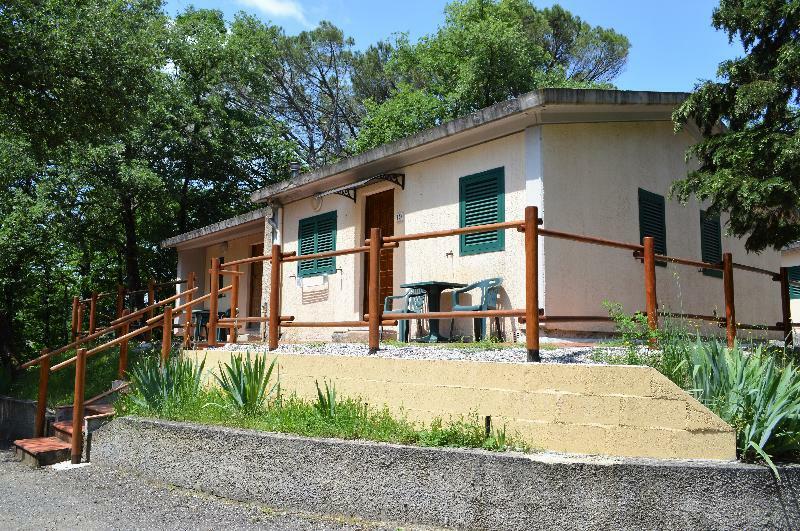 Masonry studio with bedroom with two single beds (on request one double bed), bathroom with shower, kitchen with di utensils and refrigerator, tv, heating, bath and bed linen (weekly change), courtesy set, table and chairs outside and parking. Apartments (42 mq) » 2 pers. Apartment with bedroom with two single beds (on request one double bed), bedroom with bunk bed (two beds), living room with single bed, bathroom with shower, kitchen with di utensils and refrigerator, tv, heating, bath and bed linen (weekly change), courtesy set, table and chairs outside and parking. 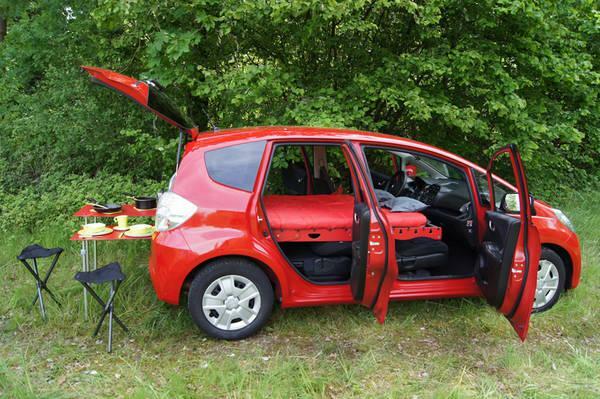 Mobile Home Shelbox Prestige » 2 pers. 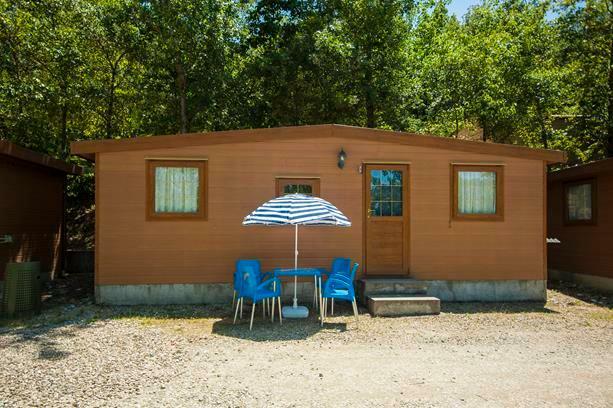 Mobile home with double bedroom, bedroom with 2 single beds, living room with kitchenette with utensils and refrigerator, bathroom with shower, air conditioning, heating, bath and bed linen (weekly change), courtesy set, table and chairs outside and parking. Mobile Home Shelbox Motel » 2 pers. 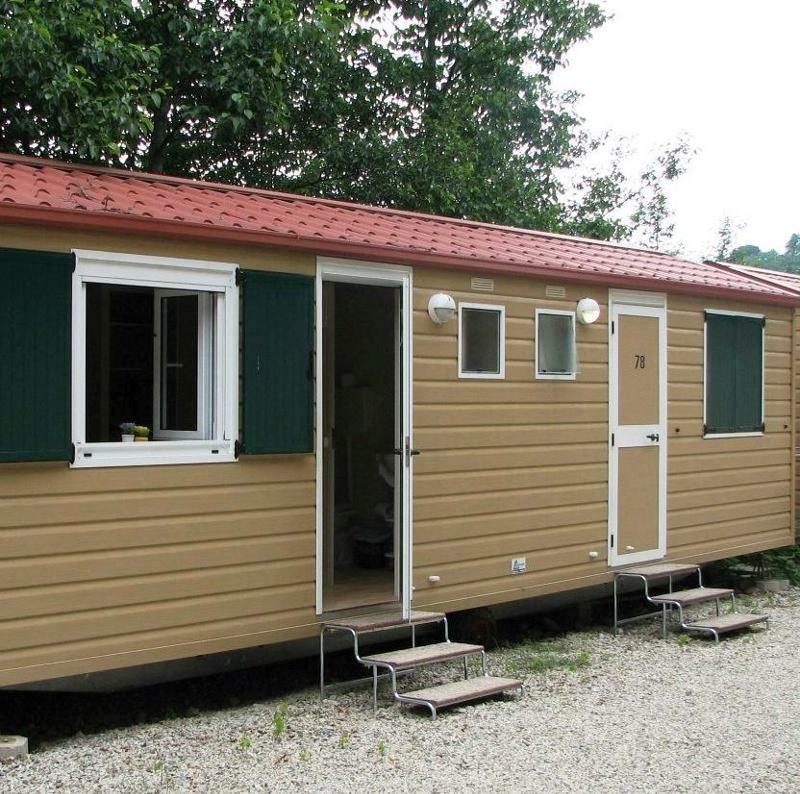 Mobile home with 2 single beds (on request one double bed), bathroom with shower, refrigerator (without kitchen), air conditioning, heating, bath and bed linen (weekly change), courtesy set, outside table and chairs and parking. Mobil Home O'Hara » 2 pers. Mobile home with double bedroom, 2 bedrooms with 2 single beds (4 beds total),living room with kitchenette with utensils, microwave and fridge, bathroom with shower and sink, bathroom with toilet, air conditioning, heating, bath and bed linen(weekly change), courtesy set, veranda, outside table and chairs and parking. 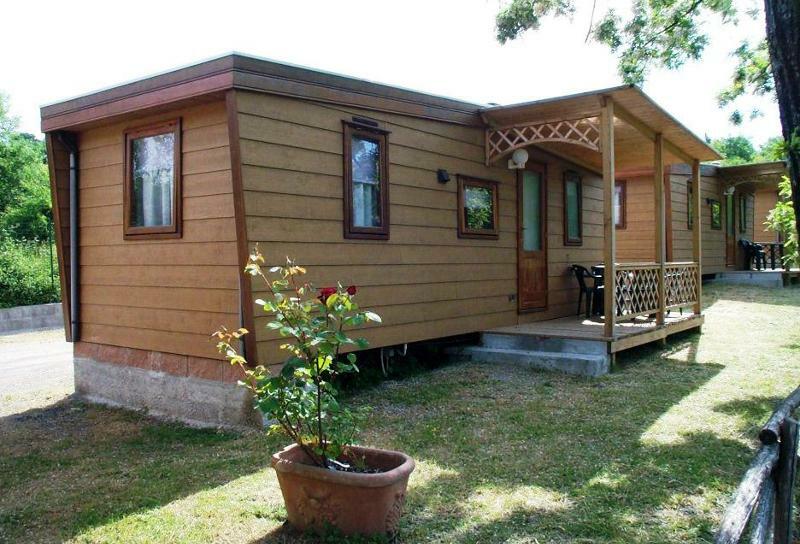 Mobile Home Nybo » 2 pers. 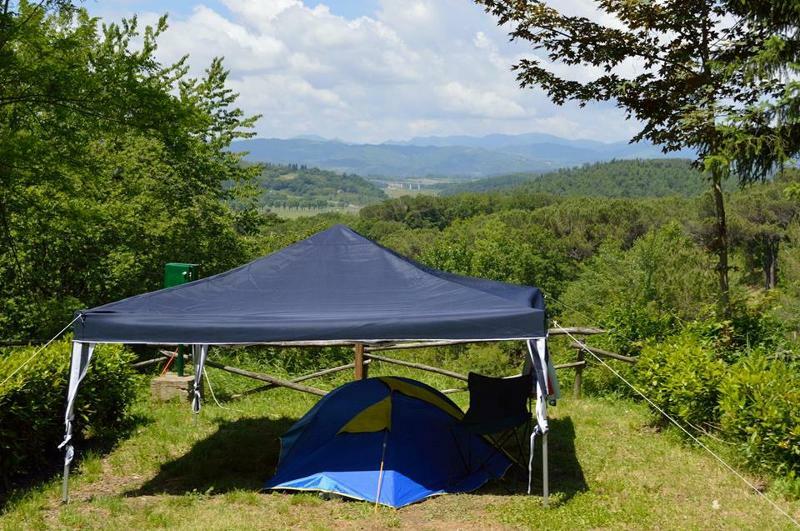 We have the pleasure of introducing you to our tourist structures - the Campsite and Holiday Village Mugello Verde - in the splendid Mugello Valley. Green hills paint the horizon and the valley elegantly represents the Tuscan countryside so famous for its Medici villas, castles, vineyards, and olive groves... Mugello Verde gives you the possibility to enjoy all these wonders while relaxing surrounded by nature in our oasis of tranquillity. Our clients also have the possibility to visit Florence, one of the most beautiful cities of the world, well-known for its works of art. 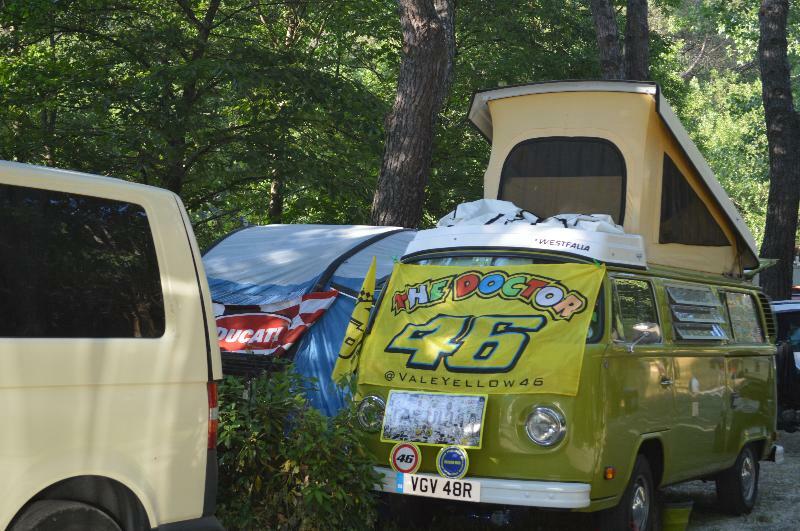 As a matter of fact, we are connected to the centre of Florence by a bus service that runs directly from Mugello Verde to the centre of the city. There is also a train from San Piero a Sieve (2 km) to the central station (Santa Maria Novella) in Florence. Check-in Camping from 7:30 to 24:00 – Village from 15:00 to 24:00. Check-out Camping from 7:30 to 15:00 – Village from 7:30 to 10:00. Cancellation / Deposit Refund Rules for the booking The booking is confirmed only after deposit payment and confirmation by the Management. On acceptance of the booking by the Management, will be charged the down payment on your credit card. In case of bank transfer, the reservation is confirmed only on receipt of that. With the booking you can’t take advantage of special rates and/or discounts of the cards (Acsi Card, CKE, Adac Card, CCI etc ...). No-show and cancellation by the customer: - No show: the deposit will not be returned and the Management reserves the right to reoccupy the accommodation on the same day. - Cancellation (in written form only): • within 30 days from the date of arrival, 50% refund. Of the total amount paid will be deducted 20% for costs of booking up to a maximum of € 30.00. You will be reimbursed by bank transfer. • no refund is due for those who cancel within 29 days from the date of arrival. Changes by the customer: - Impossibility to arrive on the day of booking: contact the Management by 2.00 p.m. the previous day. In this case will be maintained at your disposal the selected accommodation until 10.00 a.m. the next day. - Modification of the booking: you can modify the booking upon availability and must be confirmed by the Management. - Early departure: the customer is required to pay the entire booked period. For organizational reasons, the Management reserves the right to change the number of accommodation/pitch assigned at the time of booking. Campsite: Check-in: from 7.30 a.m. to 10.00 p.m. Check-out: from 7.30 a.m. to 3.00 p.m. Village: Check-in: from 4.00 p.m. to 10.00 p.m. Check-out: from 7.30 a.m. to 10.00 a.m. For arrivals at different times, please communicate by telephone within 10.00 p.m.
Children and Extra Beds Children 0-2 years free of charge - on request camp bed for some kind of accommodation. Animals Allowed Yes, only in pitches. Accepted Credit Cards Mastercard, Visa, Maestro. 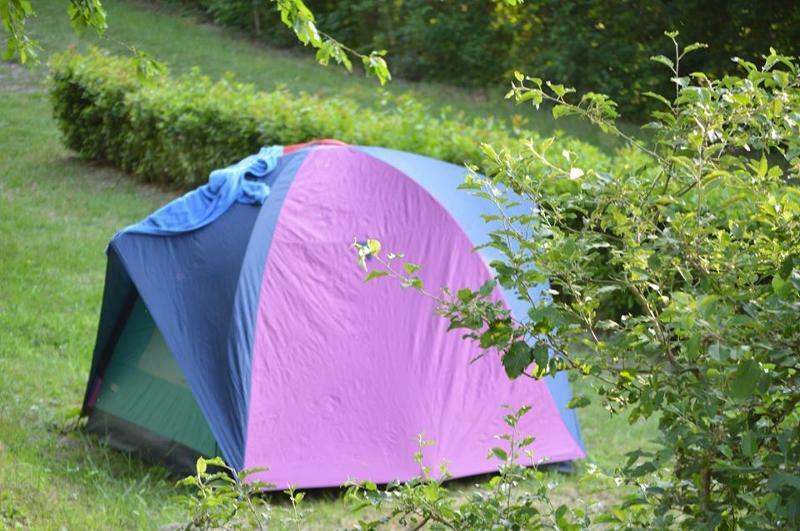 How far is the Camping from the beach?This campsite is located in the Tuscan countryside. The pool is suitable for children?The lower part of the swimming pool is 90 cm. How far is the village from the nearest city center?2 km from San Piero a Sieve. 20 km from Florence. Accommodations are equipped with bed linen, bath linen and crockery?Linen yes in all typologies. Crockery is included except in Mobilhome Motel. Accommodations are air-conditioned?Mobilhome yes. Apartments only heating. Accommodations are equipped with TV?Not all. Half Board or Full Board treatment available?There are a Pizzeria/Restaurant inside. Half board or full board for groups only. Additional Information:Values custody free; public telephones; timetable buses and trains to Florence and buy tickets; resale stamps; selling postcards; souvenirs; camping gas. Check-inCamping from 7:30 to 24:00 – Village from 15:00 to 24:00. Check-outCamping from 7:30 to 15:00 – Village from 7:30 to 10:00. Cancel/Confirmatory deposit:Rules for the booking The booking is confirmed only after deposit payment and confirmation by the Management. On acceptance of the booking by the Management, will be charged the down payment on your credit card. In case of bank transfer, the reservation is confirmed only on receipt of that. With the booking you can’t take advantage of special rates and/or discounts of the cards (Acsi Card, CKE, Adac Card, CCI etc ...). No-show and cancellation by the customer: - No show: the deposit will not be returned and the Management reserves the right to reoccupy the accommodation on the same day. - Cancellation (in written form only): • within 30 days from the date of arrival, 50% refund. Of the total amount paid will be deducted 20% for costs of booking up to a maximum of € 30.00. You will be reimbursed by bank transfer. • no refund is due for those who cancel within 29 days from the date of arrival. Changes by the customer: - Impossibility to arrive on the day of booking: contact the Management by 2.00 p.m. the previous day. In this case will be maintained at your disposal the selected accommodation until 10.00 a.m. the next day. - Modification of the booking: you can modify the booking upon availability and must be confirmed by the Management. - Early departure: the customer is required to pay the entire booked period. For organizational reasons, the Management reserves the right to change the number of accommodation/pitch assigned at the time of booking. 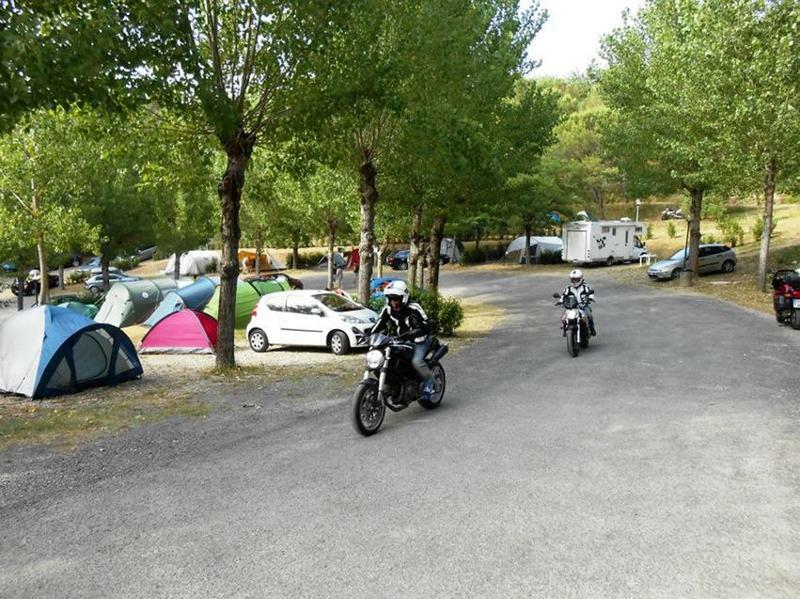 Campsite: Check-in: from 7.30 a.m. to 10.00 p.m. Check-out: from 7.30 a.m. to 3.00 p.m. Village: Check-in: from 4.00 p.m. to 10.00 p.m. Check-out: from 7.30 a.m. to 10.00 a.m. For arrivals at different times, please communicate by telephone within 10.00 p.m.
Children and extra beds:Children 0-2 years free of charge - on request camp bed for some kind of accommodation. Pets allowed:Yes, only in pitches.